“ Christ is alive! He is our hope, and in a wonderful way he brings youth to our world. Whatever He touches becomes young, is renewed, is filled with life. And so, the first words I would like to say to every young Christian are: He is alive and wants you to be alive!” (CV, 1). Jesus wants us alive, with a heart capable of dreaming, of looking for great things and of committing ourselves to building a better world. Starting from this lapidary certainty Pope Francis gives us this long awaited exhortation in conclusion of the synodal assembly. 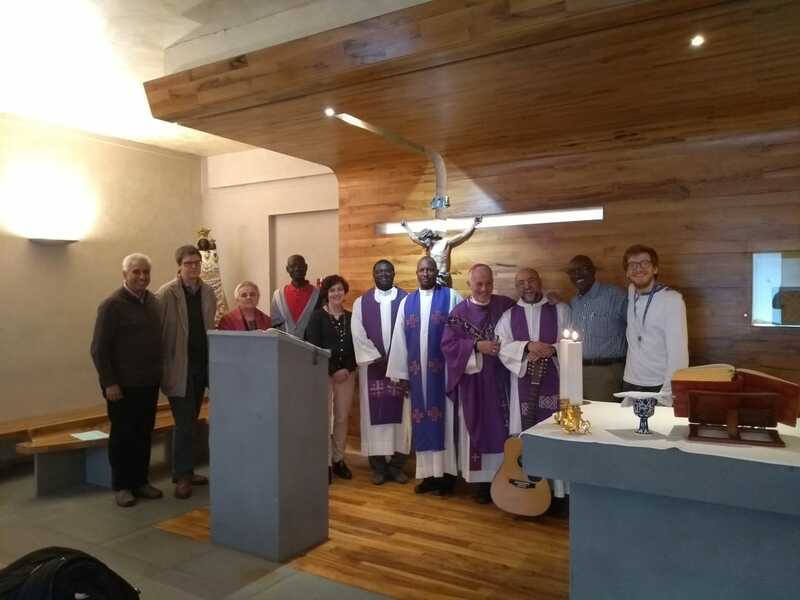 We will have the opportunity to meditate on this exhortation carefully and calmly and to do our best to exercise the necessary discernment so as to incarnate the spirit and the pastoral suggestions in our ecclesial and associative realities. Here we only want to give you some short immediate reflections. The history of salvation is full of examples of young people, in the old and new testament, who embodied holiness, even simply by relying on the Lord, managing to go beyond their fears. This teaches us that we are greater than our frailties and our shortcomings. Among the many young people whom the exhortation recalls, our thought immediately goes to Blessed Piergiorgio Frassati, a young CA member, committed to testifying with joy his faith among his friends and at the service of the poor. We are all urged to be the protagonists of this in our times, in our daily lives, and not to be satisfied to be looked upon only as the future because we are God’s present. Today is already the time to be protagonists, it is already the time to get involved. 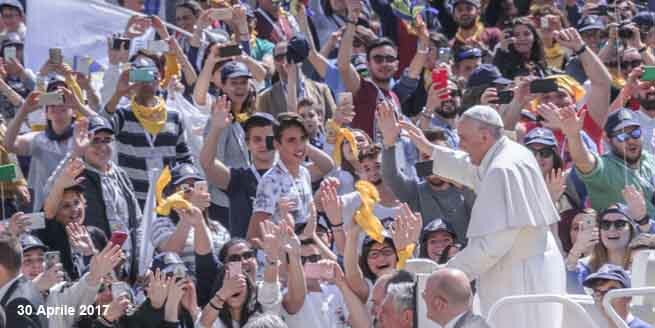 Faced with a youthful world characterized by so much wealth but also by so many fragile conditions, Pope Francis asks us not to forget those who have to struggle most in life: “try to learn to weep for all those young people less fortunate than yourself. Weeping is also an expression of mercy and compassion” (n.76). One only succeeds in doing this if one continually returns to the source, to the Lord. As young people who are in the Church, together with all young people even with non-believers, it is our duty to help the Church to be herself and to remain young (CV 37) with our enthusiasm, our intuitions and our tenacity. To do this we must have the courage to move forward towards our goal without wasting time “attracted by the Face of Christ, whom we love so much, whom we adore in the Holy Eucharist and acknowledge in the flesh of our suffering brothers and sisters” and to wait for those, who as yet have not arrived, with humility and patience. (cf. CV 299).